Small moves and deliveries in and around NYCI work for many artists, galleries, interior designers and stores in and around the city. I have been doing this for 15 years and have many references. Established in 1999. 17 years in business. I work for many local businesses and artists as well as galleries and charities. I work alone with the customer or can provide additional help if needed. 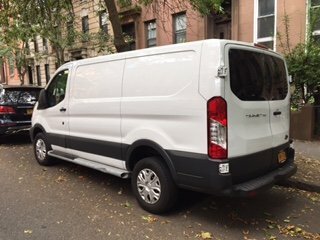 Kenneth helped me out with my move in Brooklyn and was great!He arrived early, very friendly, knew what he was doing, quick and efficient, and made the whole process painless (as painless as moving can get at least).I would highly recommend Kenneth, and I will definitely be in touch for any help I need moving in the future. Used them in my recent move from New Jersey to Upper East Side NY. They provided an appointment window of 12-2PM and showed up before 12PM ready to work! Had the entire truck unloaded and moved into our apartment in less than 2 hours and the building is a 5 story walk up. Worked extremely hard and efficient and did not try to drag out the time as they do work by the hour. All furniture and boxes were in the same condition as when we packed them and not even a scratch on the wall. 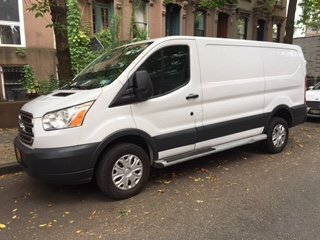 Great price, friendly movers, and not a single issue. 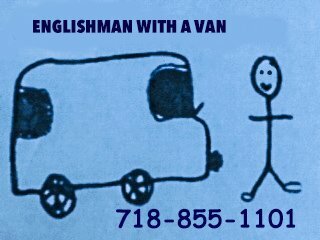 Would recommend to anyone that is moving within the NY area. You will not be disappointed. We moved on a Sunday after requesting a quote late Thursday night. They came 30 minutes early to make sure they could find parking. Were more than helpful, very kind. My roommates and I were so tired at the end that we forgot to tip them. But they deserve the highest praises, especially Juan. If you can, request Juan. Ken was great! Quick to respond for a short notice move and on time. Great price too. Would work with Ken again!